Enjoy 3 nights at the Hilton Moorea Lagoon Resort & Spa; perfect for the traveler in search of refinement, romance and escape and then 3 nights at the prestigious Relais & Chateaux association’ member; Le Taha’a Island Resort & Spa. 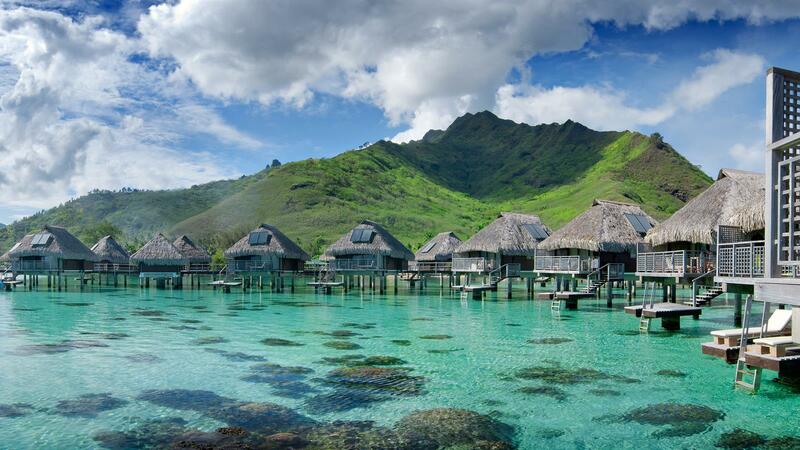 At the Hilton Moorea Resort & Spa, you’ll find luxurious bungalows set amidst exotic gardens or over the turquoise waters of Moorea’s lagoon. Inspired by traditional Polynesian architecture and style, Le Taha’a hosts 57 remarkable suites and villas, facing Taha'a on one side and the majestic silhouette of Bora Bora on the other side. Includes Full Breakfast daily, a Tahitian Black Pearl gift, VIP Status includes a Welcome Letter from the General Manager on arrival, Chef's special Treats in your bungalow and a 5000 XPF Resort Credit to use during your stay at Le Taha'a and special Hotel Anniversary Bonuses such as Champagne or Tropical Flowers. International and Inter-Island Airfare round trip and Airport Transfers included. •	Bonus: VIP Status includes a Welcome Letter from the General Manager on arrival, Chef's special Treats in your bungalow and a 5000 XPF Resort Credit to use during your stay at Le Taha'a.